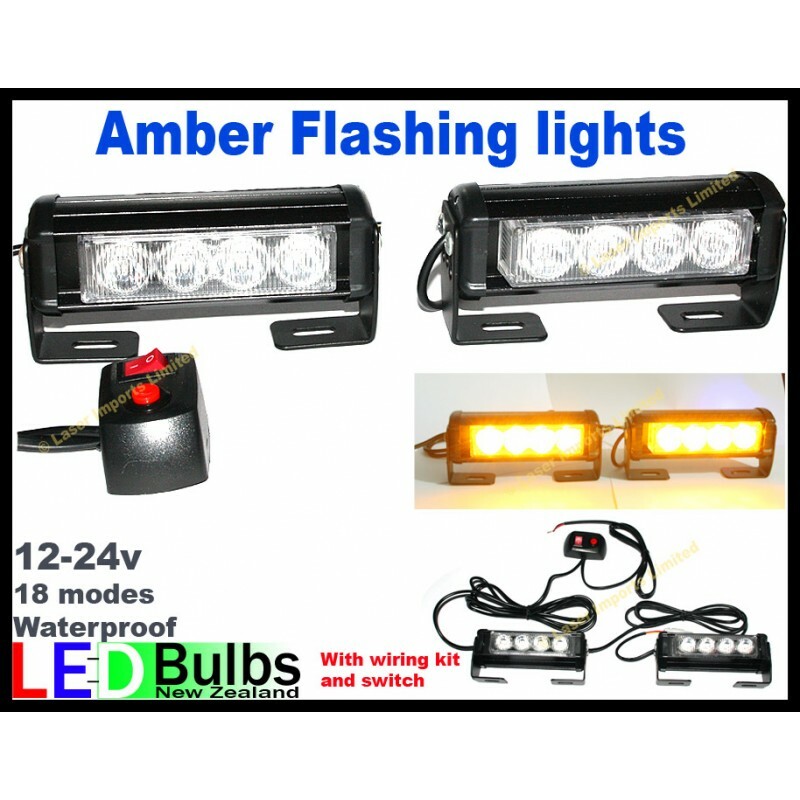 You are buying 2x lights with included wiring harness and switch. Great for mounting on the grill or front or back of you work vehicle when you need to be seen. Multi modes, they are wired together to flash together or side to side, 18 different flashing modes. They are ultra bright using 2W worth of led in each unit. Wiring harness and switch included. The intelligent controller allows the LED heads flash patterns to be synchronised. The Flash patterns will then synchronise therefore eliminating random flashes that could be distracting and confusing. Great for Trucks, diggers, rollers, TMP, STMS, Work vans, Roadworks, graders, forklifts, rapid response vehicles, wide loads, vehicle recovery, tow trucks, Pilot vehicle and more.